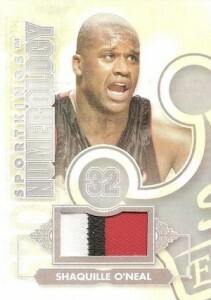 The Sportkings name has a long and storied history in the hobby for including some of the world's greatest athletes. 2013 Sportkings Series F is another modern spin on the brand. It mixes several sports, artwork, autograph, memorabilia and more. 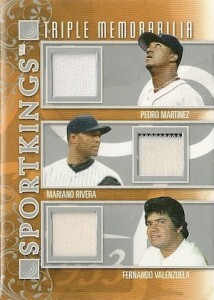 The 2013 Sportkings Series F roster is as varied as ever. 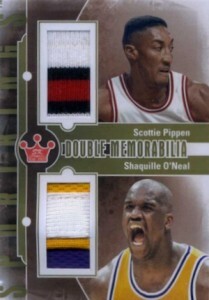 Among the featured athletes are Shaquille O'Neal, Cristiano Ronaldo, Scottie Pippen, Tito Ortiz, Fernando Valenzuela, Bill Parcells and Kerri Strugg. 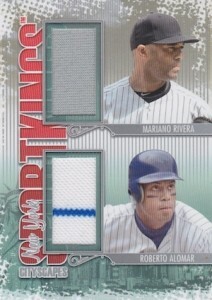 They will be featured on both the base card and autograph checklists. 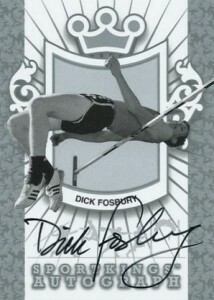 All 2013 Sportkings Series F autographs are signed on-card. Original artwork pops up in a couple of places. At first glance, Body of Work looks like a high-end memorabilia set led by over-sized swatches. However, each also has an original sketch used to make the player image. The Body of Work checklist has 60 different athletes, each with nine cards. The artwork makes each one unique. Memorable Moments is another art-based insert. 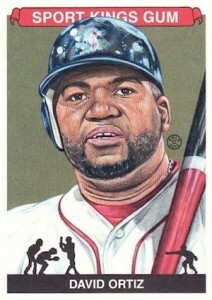 Showcasing the detailed artwork of Jared Kelley, 20 different moments are captured as original art cards. Instead of each sticking to just one card, they're done as four-card puzzles. Boxes of 2013 Sportkings Series F come with one pack. 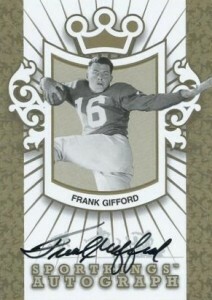 Each includes three base cards, a Premium Back base card and either an autograph or memorabilia card. Mini card base set parallels fall every other box. Both the autograph and memorabilia lineups are extensive. 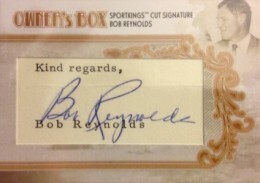 Basic autographs come with on-card signatures. Signers include Christian Ronaldo, Shaquille O'Neal and Mariano Rivera. While individual cards are somewhat scare, they come with as many as six different variations. The Miami Dolphins' perfect season in 1972 is honored in Anthology. 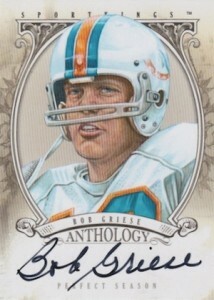 Bob Griese and Don Shula are among those appearing. 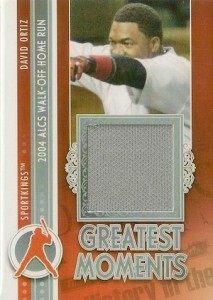 Memorabilia cards fall under several different themes including several jumbo swatch and multi-swatch options. Box tops are once again be eligible for an exclusive redemption. 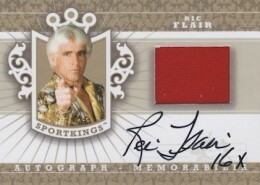 RIC FLAIR 2013 SPORTKINGS SILVER VERSION AUTO AUTOGRAPH CARD! 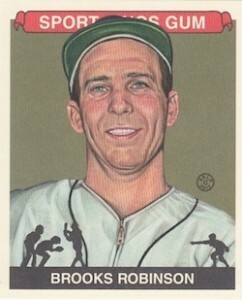 303 Walter Ray Williams Jr.
* The card backs refer to Series E and should refer to Series F.
KSM-01 Walter Ray Williams Jr.
LC-47 Walter Ray Williams Jr.
OB-WCFSR William Clay Ford Sr.
OB-WHSJR William H. Sullivan Jr.
18 base Cards have a print Run of 90. 3 limited cards have a print run of 30. 1 extra limited card has a print run of 19. SM-22 Walter Ray Wiliams Jr. 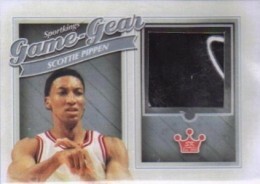 Send in one set that spell SPORTKINGS and receive a 1/1 Sportkings Premium Redemption Enshrined Cut Signature Card. 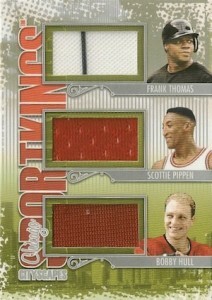 Send in two sets that spell SPORTKINGS and receive a 1/1 Sportkings Premium Redemption Jumbo Memorabilia Card.